little Spring sale on soft toys. 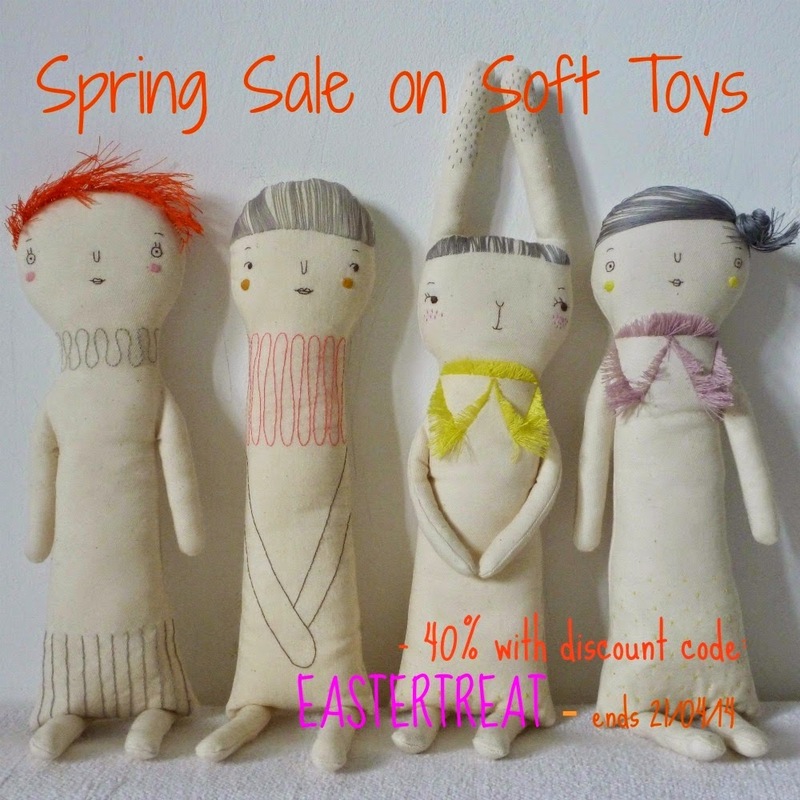 Enjoy a - 40% reduction on all of K&C's adorable handmade dolls and creatures. "Eastertreat" is your magic discount code and it lasts until 21/04/14 at midnight!